When referring to TV Installation, Flare Fireplaces create radiant heat which rises up into the chase & out a Heat Release into the room. This allows for a relatively low temperature on the external wall above the fireplace, & lets you mount a TV as close as 12″ above the glass. 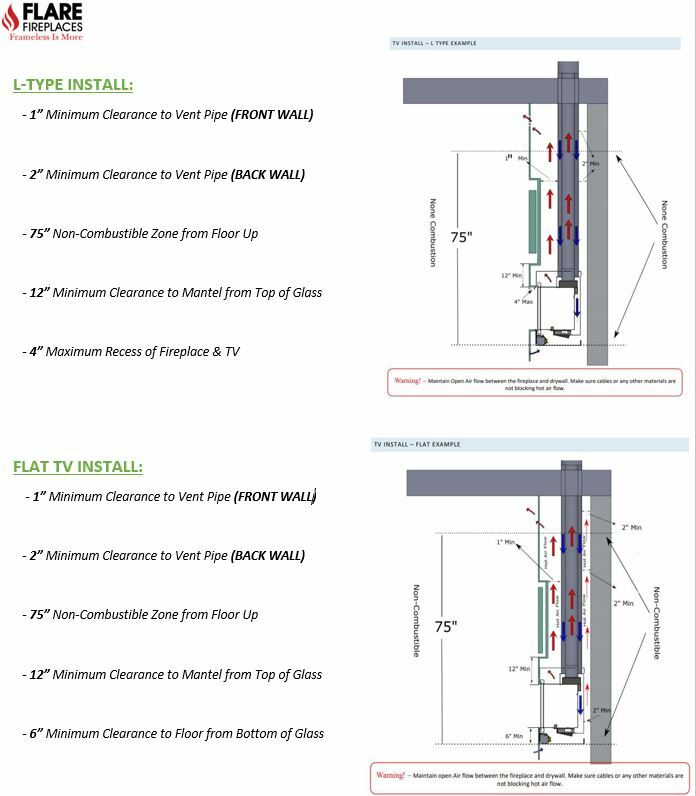 Follow the chart below for suggested installation of a TV above your fireplace. 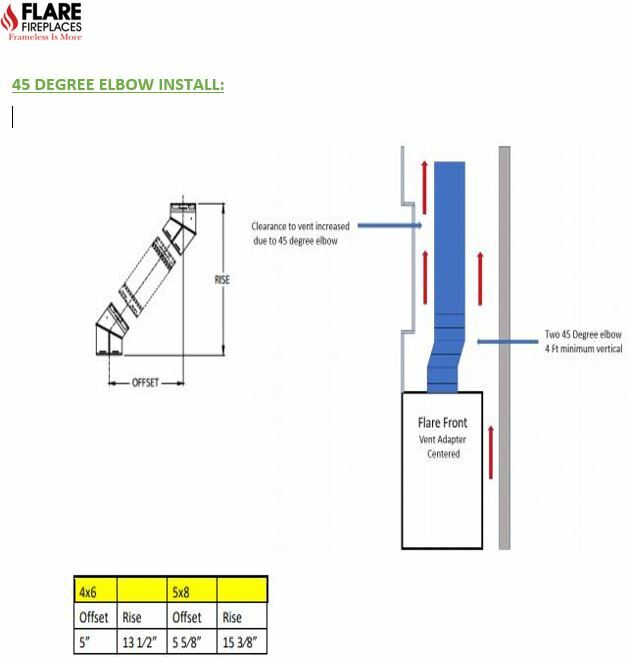 Reference Flare’s Install Manual for more details. Follow this link to see a video of a TV Installation above a Flare Fireplace. • It is critical when dealing with TV Installation that wiring insulation does not obstruct the hot air flow from the top of the chase. installed with less concern of blocking hot air flow. • TV can be recessed when installed above the Fireplace or protected by a mantel. vent in a TV Installation. 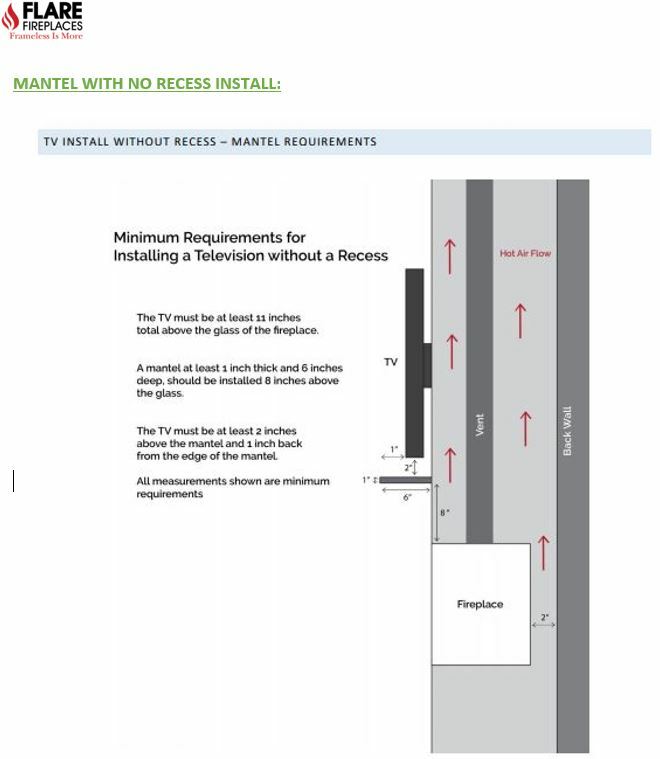 and allowing for space to recess also the TV.